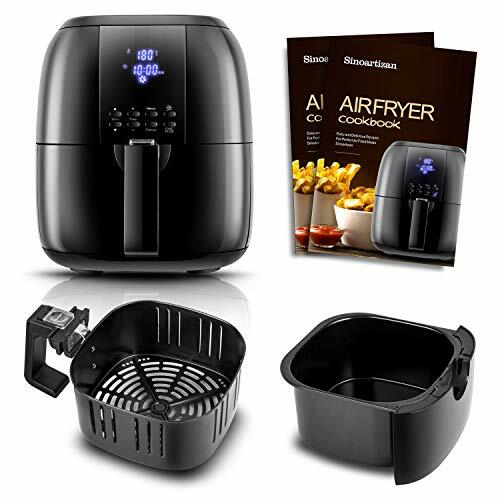 Sinoartizan Air Fryer--- Create healthier versions of your favorite foods! Delicious fried food is finally guilt-free. 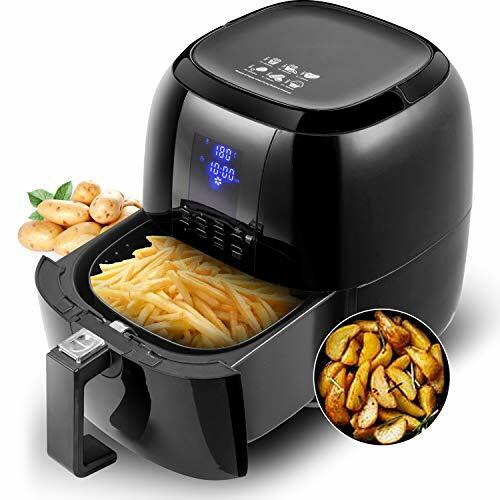 The Sinoartizan Air Fryer provides you with an easy and healthy way to prepare your favorite foods. The rapid air circulation technology makes numerous dishes without added oil or fat, quickly and easily! However, you don't have to limit yourself to fried food. The possibilities are endless! 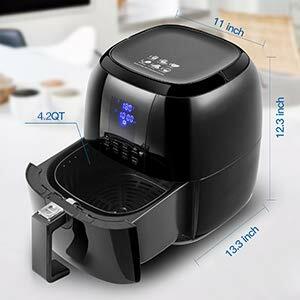 You can even bake a cake in our air fryer. 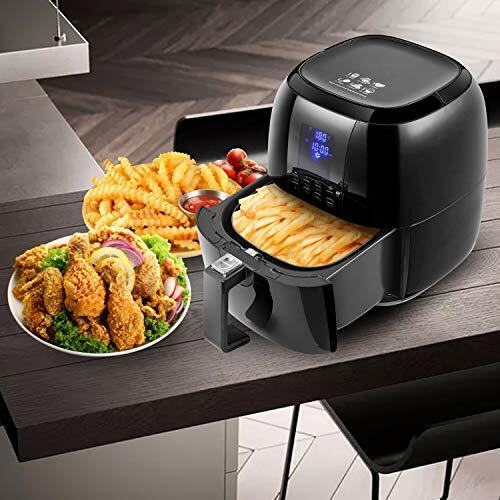 ►#EAT HEALTHY | USE 80% LESS FAT AND TIME: The Sinoartizan Airfryer is the healthiest alternative to deep frying, it uses Dynamic AirFlow Technology, this means, on average, you will consume 80% less fat and time while still enjoying all your favorite fried, grilled, baked and roasted foods! No oil smell, no splatter, no mess! 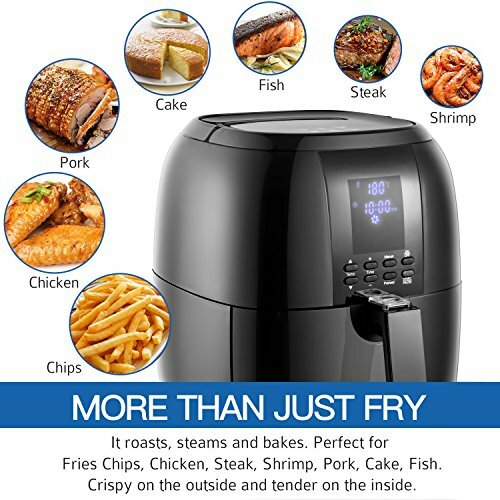 ►#VERSATILE COOKING:Take the guesswork out of cooking with the built-in LED screen menu featuring 8 cooking presets: Fresh Home Fries, Frozen Fries, Frozen Cheese sticks, Fresh Home Fried Chicken, Hamburger, Frozen Chicken Wings, Cup Cakes and defrost. Equipped with a wide temperature range from 80C(176F) to 200C(392F) and a cooking timer up to 60 minutes. ►#CONSIDERABLE DESIGN: 4.2 Qt. 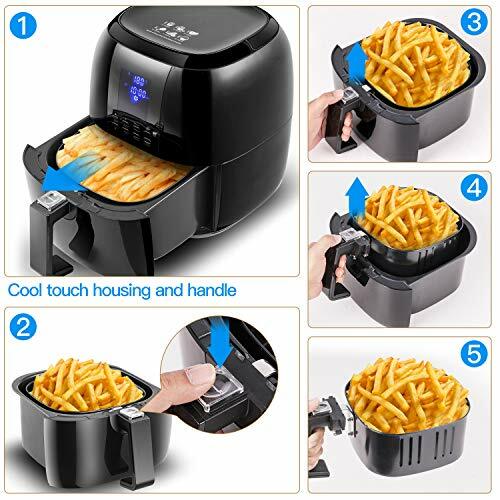 capacity, feeds up to a family of THREE and more, it can fit in any countertop.Installed with the smart PREHEAT function, help the hot air more evenly distributed on food before frying, food comes out crispy on the outside and perfectly tender on the inside. 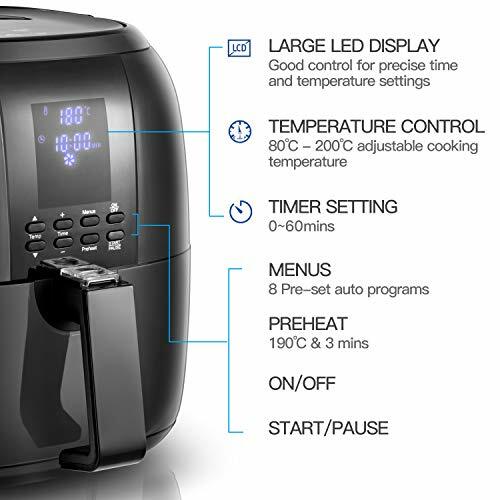 Featuring a new Start/Stop button to change time and temperature, shake and flip contents in the middle of a cook cycle. ►#100% SAFE OPERATION: Equipped with overheating safeguard design which is activated once the temperature reaches its threshold. 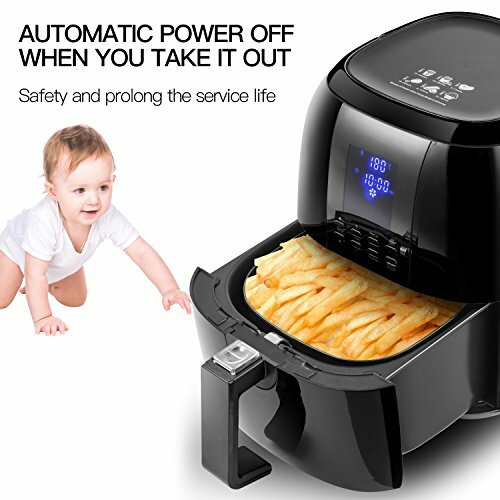 Micro-switch protection allows the machine will shut down when the fry basket is taken out. A button guard cover prevents accidental detachment of the basket. Cool touch housing and handle makes it safer to use. It's so simple, even your kids can use it! 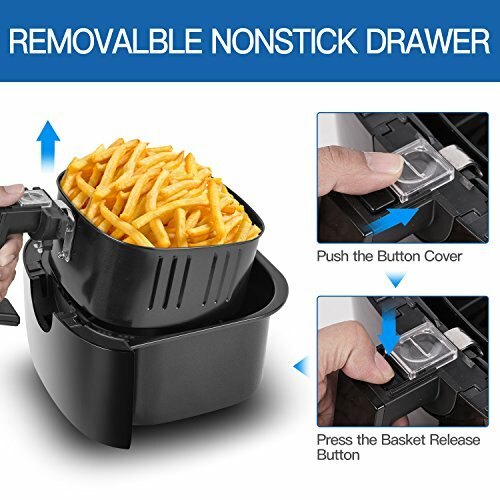 ►#DISHWASHER SAFE AND COOKBOOK INCLUDED: Comes with non-stick FDA-certified detachable basket and basket holder Base, which are removable and washable, very easy to clean. Also includes a recipe book. This recipe book is filled with some recipes specifically made for Sinoartizan Air Fryers. Choose from a variety of meals to make for breakfast, lunch, dinner, or dessert. If you have any questions about this product by Sinoartizan, contact us by completing and submitting the form below. If you are looking for a specif part number, please include it with your message.